Reiwa, according to The Japan Times, means “auspicious” (rei) and “peace and harmony” (wa). In celebration of the upcoming Reiwa era, we'll look at some of the highlights of Japan’s fledgling startup ecosystem from the current Heisei period, along with Japan’s hopes for the Reiwa period. Heisei 30: a key year for boosting Japan’s startup ecosystem. During Heisei, Japan’s current imperial era that began in 1989, the nation went through many ups and downs. It experienced economic stagnation in a period known as the “Lost Decade” that began in the early 1990s and there was a severe disaster at a nuclear power plant in Fukushima in 2011. The country is renowned globally for corporate giants, such as Toyota, Softbank, and Panasonic, but, even so, many think the Land of the Rising Sun has not yet unleashed its full potential. Caption: Mercari, an e-commerce company, became Japan’s first unicorn. 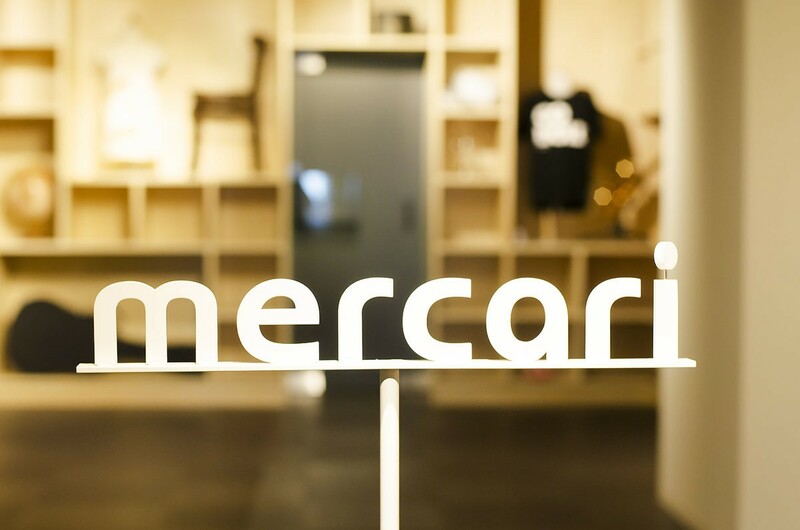 However, last year, in the 30th year of Hersei, Mercari, an e-commerce company, became Japan’s first unicorn, which is defined as a startup with a value of over US$1 billion. In the same year, the Japanese government under Prime Minister Shinzo Abe set a target of creating 20 unicorns or listed equivalents by 2023. It was the first time for his government to set this kind of numerical target and reflected Abe's ambition to create a startup ecosystem that could be linked with the rest of the globe. The Japanese government is now drumming up funds from both government agencies and the private sector for fostering unicorns. The Japan Innovation Corporation, a sovereign wealth fund of the Japan government, is expected to play a key role. In addition, the Japanese government has launched J-Startup, a startup support program that helps companies expand in foreign countries and also helps with the creation of unicorns. It is managed jointly by Japan’s Ministry of Trade, Economy and Industry and the Japan External Trade Organization. These certified startups can use the J-Startup logo and receive other kinds of support. It’s a similar system to the one used by the six-year-old French-government-backed branding program for startups, “La French Tech”. French startups are also allowed to use La French Tech’s logo to improve their visibility in global markets. Last year Abe’s cabinet also eased visa restrictions both for unskilled foreign workers and skilled foreign professionals. Laborers will be able to stay for five years with no possibility of a visa extension afterwards. Skilled people will be allowed to bring their families to Japan and will be awarded extendable visas, according to the Nikkei Asian Review. Taiwan’s ties with Japan have always been close owing to historical and geographical reasons. Caption:Takashima Sōichirō ,mayor of Fukuoka City with Ko Wen-Je,mayor of Taipei City. 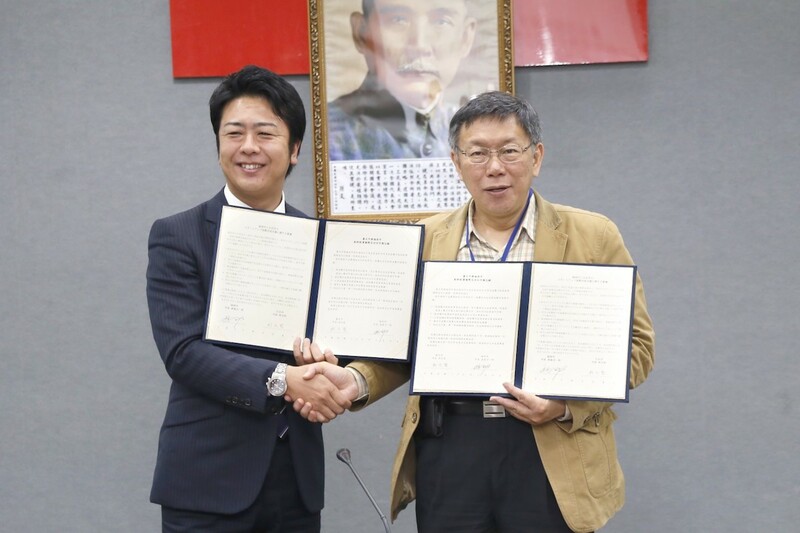 Two years ago, in the 29th year of Heisei, Fukuoka City’s mayor, Takashima Sōichirō, signed a MoU with Mayor Ko Wen-je of Taipei to enhance two sides’ startup ecosystems. 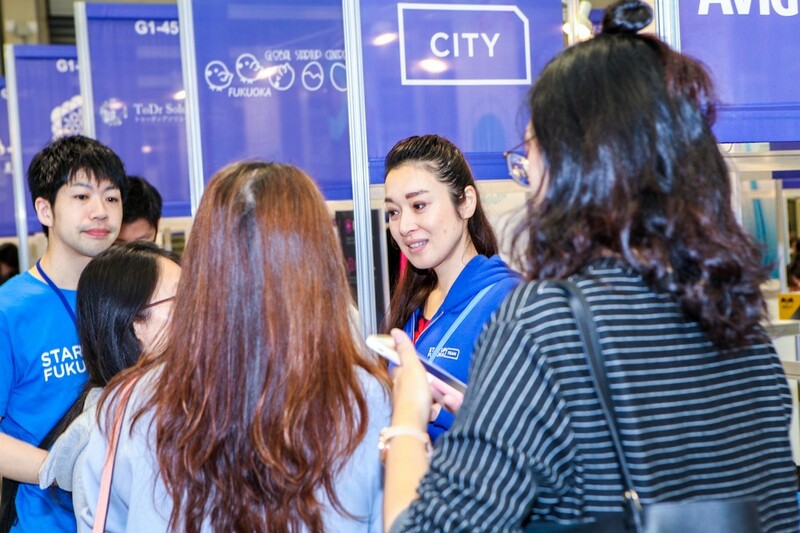 Caption: Fukuoka City Government also had a booth at Meet Taipei for introducing their programs to the local startups. After this successful beginning, the Fukuoka City Government formed a team that last year participated in the Meet Taipei Startup Festival, one of the largest startup exhibitions in Taiwan. More than 100 global startups from 25 countries displayed their innovative products or services at the three-day event, including many Japanese companies. Caption:Mr. Hung-tze Jan(left), the founder and chairman of Taiwan’s PChome Online and Japan’s Rakuten Announce a Strategic Alliance for E-commerce Cooperation. 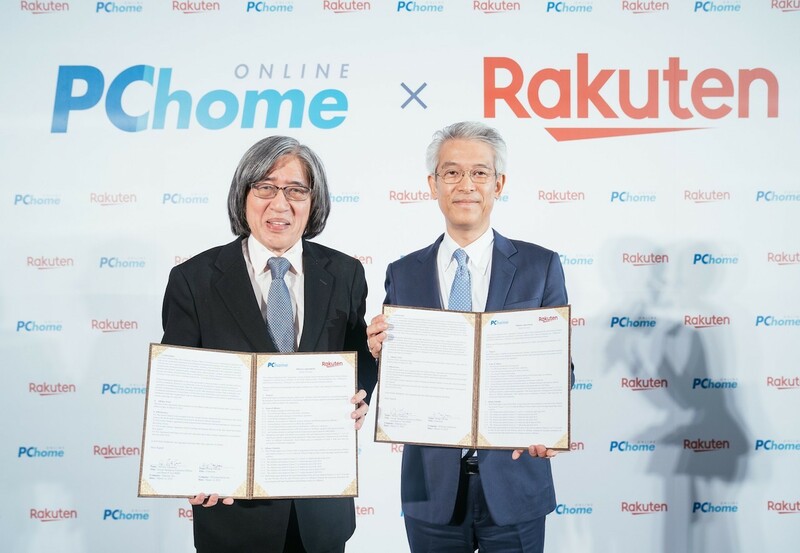 Recently Taiwan’s e-commerce giant PChome Online announced a strategic alliance for e-commerce cooperation with Japan’s Rakuten. According toJapan Times, there are five fundamental economic policy challenges that will be addressed in the early years of Reiwa. One of the challenges, the paper says, is creating a "startup nation Japan." This amounts to creating a national movement to shift the mindsets of Japanese from that of salaried professionals to entrepreneurs. Young startup companies create more than 70% of new jobs in Japan, according to the paper. Emperor Akihito abdicates on April 30 and after this the new imperial era begins. People all over the world over are waiting to see what Reiwa will bring to the world.